Double, double toil and trouble summarizes my dilemma. The plan is to do a reconnaissance ride of Haute Route Utah, writing an article with insights for prospective riders. It is either that or spend untold hours accompanying my wife to the Utah Shakespeare Festival at Southern Utah University. Even though it's the Tour de France of Shakespeare festivals, this is a no-brainer, especially since I barely passed 8th grade Shakespeare. Reaching out to Haute Route to get course details seems like a win-win-win scenario - Haute Route Utah gets media exposure, riders get Pro Bucket Rider course tips, and most importantly, I won't be bored listening to bards. But double toil and trouble is in the details, the lack of Haute Route Utah stage details as my trifling request falls on deaf ears. So, I sit in Cedar City destined to be a foolish wit unless I come up with plan B, or plan BYO. A Build Your Own epic 3-day ride, BYO Ute Route. Fortunately, even an 8th grade Shakespeare failure can put together three days of riding in a strange town using Strava, MapMyRide, and RideWithGPS. Within a few hours my Ute Route is all set and ready to go, three stages covering 212 miles on paved roads with 15,000' of climbing. It's Tour of Utah challenging, filled with amazing National Park views, logistically simple and almost free. If you're looking for a Ride Like A Pro Bucket Rider experience, my Ute Route is a good start. 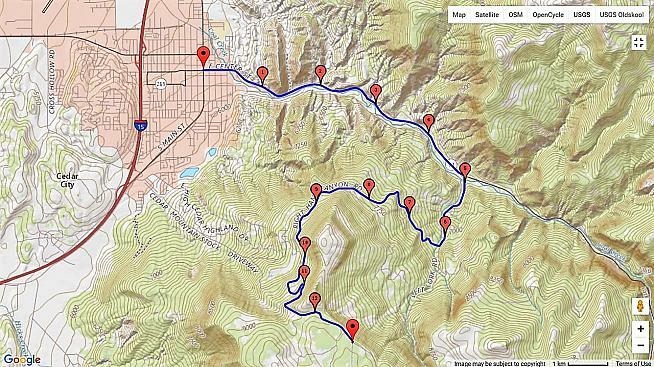 It's my idea of a great weekend of epic road riding in Southern Utah. Cedar City is base for all three stages. Although two hours from somewhere (Las Vegas or Salt Lake City), it offers a friendly small-town format with hotels, restaurants, groceries, bakeries, coffee shops, retail and medical all right on Main Street. For dinner I recommend mole chicken enchiladas at Brody's. If you need a bike shop Cedar Cycle is it. Get pre-ride caffeine at The Grind House and post-ride treats from the old fashion soda fountain in Bulluch's. Keep in mind grocery and convenience stores sell 3.2% mainstream beer. Good beer is found at state liquor stores. A local Hop Nosh IPA really hits the spot after stage 3. On the bike use common sense - lots of it. 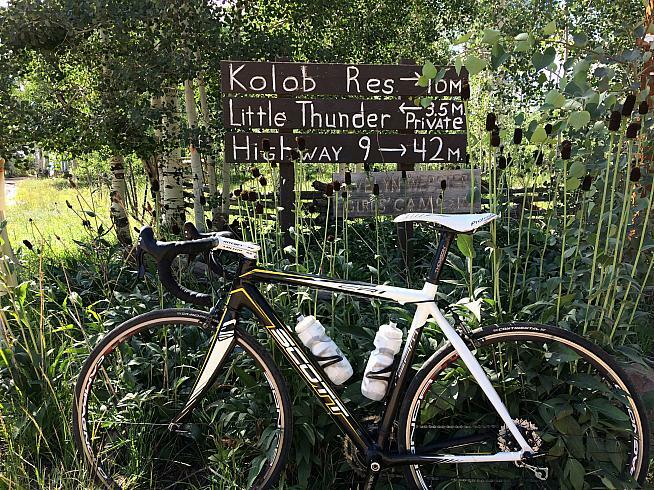 These are long tough rides on public roads between 5500 - 10500' including steep climbs and descents, changing weather conditions, and limited cell coverage. Make sure you and your equipment are thoroughly prepared, always wear sunscreen and stay hydrated. Short stage up Cedar Canyon finishing on category 1 climb at 9,170'. No water or stores available after the start at Main & Center. Ride up Highway 14 for 5 miles on a "flat" 3% section. At Right Hand Canyon turn right, cross river and start climbing into forest. Settle in for a long 4-mile grind averaging 7.6% with some bits 11%. 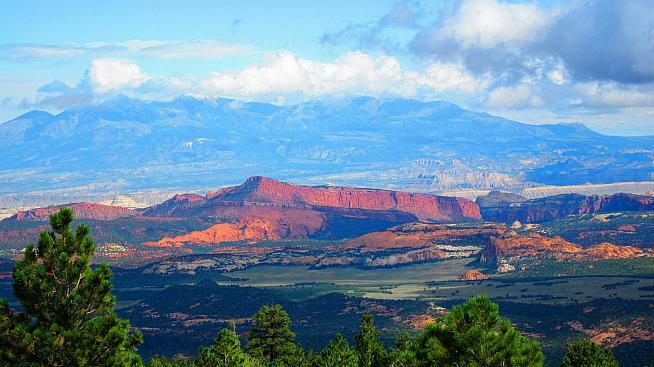 Final 3.8 miles on the west face of the mountain offers stunning 100-mile Utah and Nevada views. This section averages 6% with a few tough 14% ramps. Aspen groves and lava fields indicate the finish is near - at the "Y" with a sign where pavement ends. Descending back to Cedar City take a moment to stop, look straight ahead and view the giant red rock amphitheater of Cedar Breaks National Monument. Thankfully, I had the opportunity to use Desperado Duel for stage 2. Read my review here. It is a fantastic event and course only one-hour drive from Cedar City. 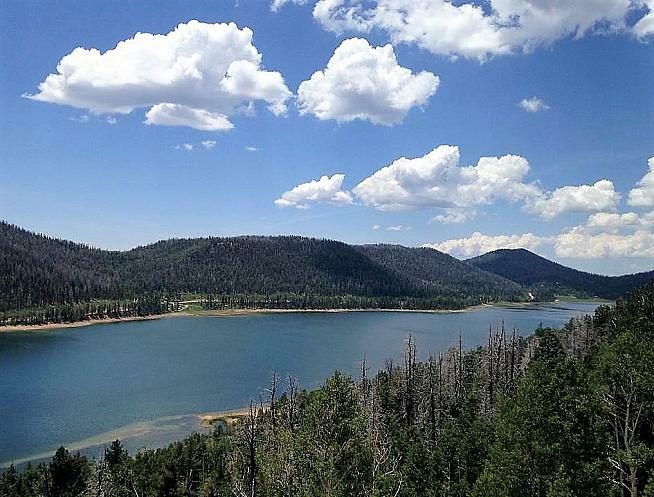 If you can't make the official ride in July start at Main & Center in Panguitch, riding counter-clockwise with store stops available in Bryce and Circleville. 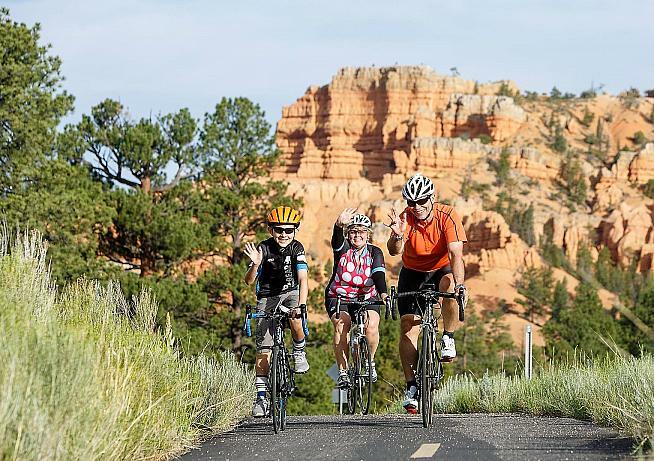 Use the scenic Red Canyon bike path to Bryce to avoid tourist traffic. No water from Bryce (mile 20) until Otter Creek State Park (61). If you want to get back to Panguitch quicker think about wonderful hand-made burgers, rings and milk shakes waiting for you at Henrie's Drive-In. 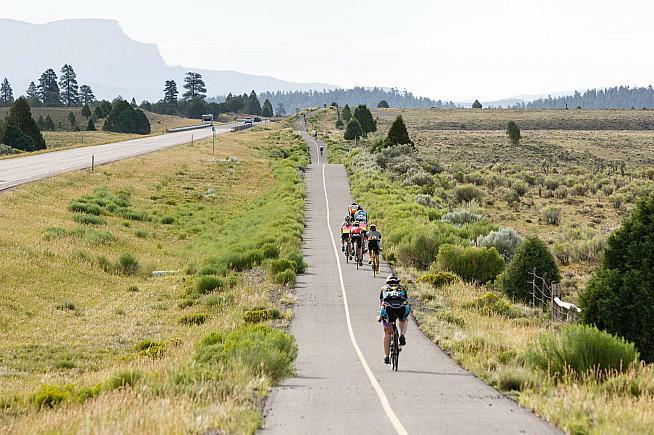 Start again at Cedar City's Main & Center to circumnavigate Cedar Breaks National Monument on a challenging UCI ProTeam route used four times in the Tour of Utah, including 2018. 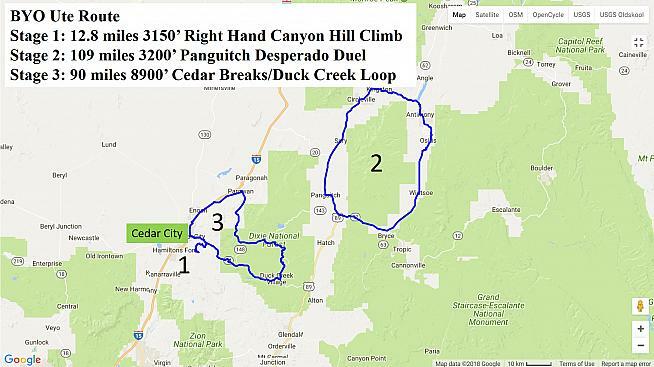 Unless you brought a soigneur, plan store stops in Parowan (mile 19), Brian Head (31) and Duck Creek (60). Head north on Main Street, taking Old Highway 91 to Parowan. Summit is halfway to Parowan, but it is a false summit 5,000' below Brian Head Ski Resort looming off to the right. Warmup, the Brian Head beatdown is coming. 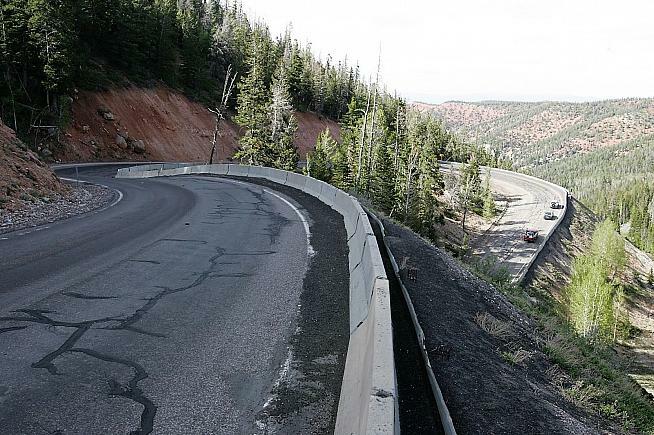 The brutal 16.4-mile category 1 climb starts on Highway 143, the steepest and 2nd highest state road in Utah. I'll skip painful grade details, but a compact crankset is a good idea, trust me. To take your mind off endless suffering check out the Vermillion and White Cliffs on the way up. At the 10,626' summit continue downhill 10-miles and turn right on FM050. The next 15 miles is a theme park roller-coaster of ups and downs through pine forest and over black rock lava. At the end of the ride turn right to Duck Creek Village. Only 1,500 feet of climbing remain over the next 12-miles, so it's a piece of cake compared the 7,400' already conquered. At the top look left to see the majestic red and white monoliths of Zion National Park on the horizon. 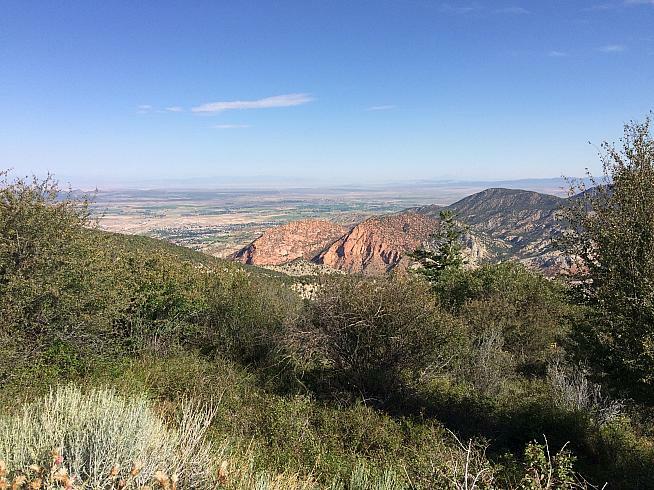 A fast 17-mile descent in Cedar Canyon puts you right back at Main & Center, signifying your Ute Route is bucket ride history. Congratulations! Enjoy the memories.